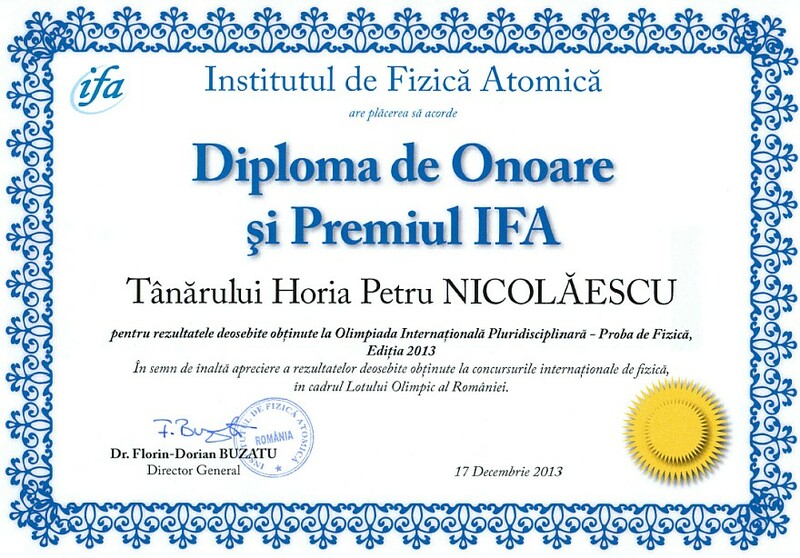 As a token of high appreciation of his entire scientific and management activity, for the valuable contribution to the increase of the visibility and the role of Romanian research, particularly Physics, at national and international level. 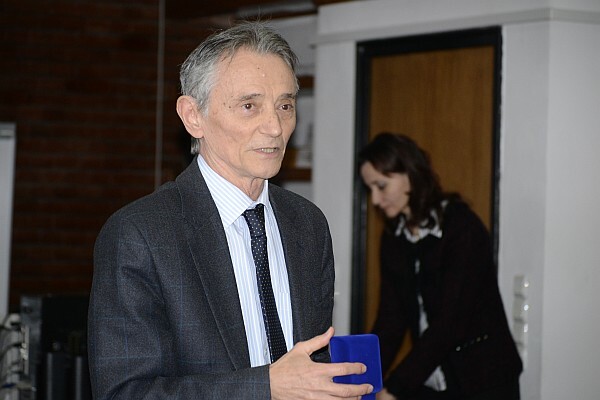 As a token of high appreciation of his entire scientific activity, of the valuable contribution to the increase of the visibility and the role of the Romanian research, particularly Physics, at national and international level. 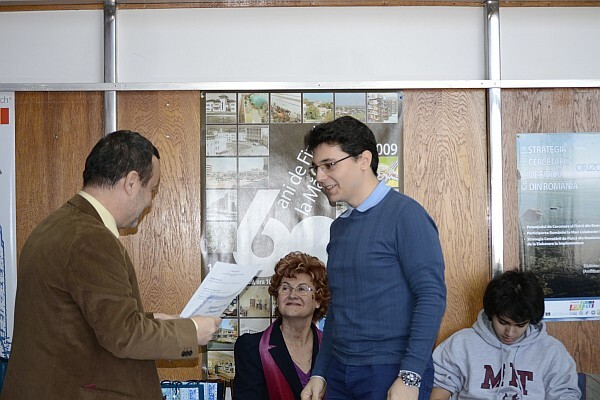 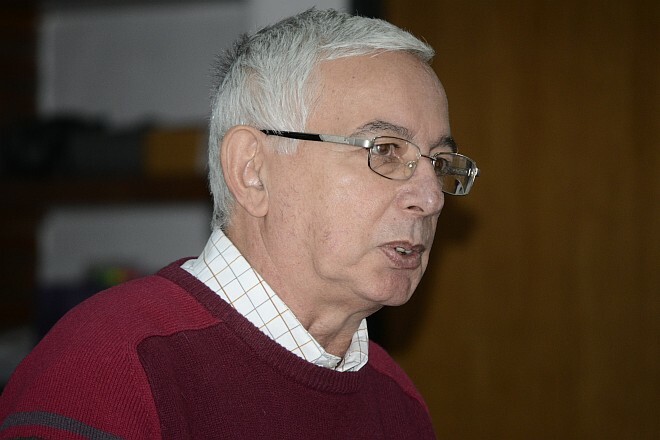 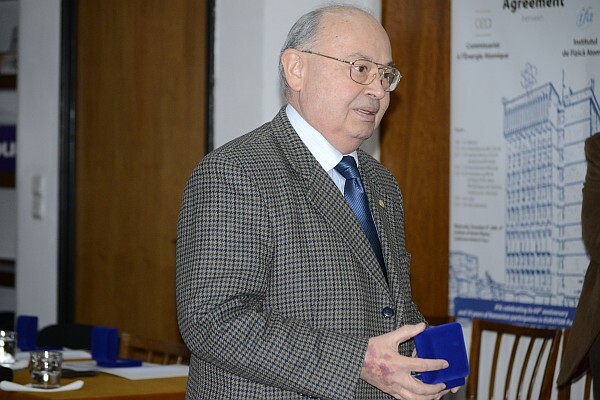 As a token of high appreciation of his valuable contribution to the development of Magurele Physics Platform and of the entire scientific and management activity through which he opened up new opportunities for the Romanian research. 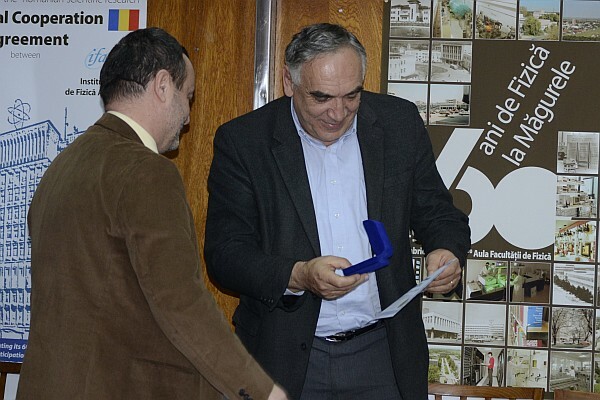 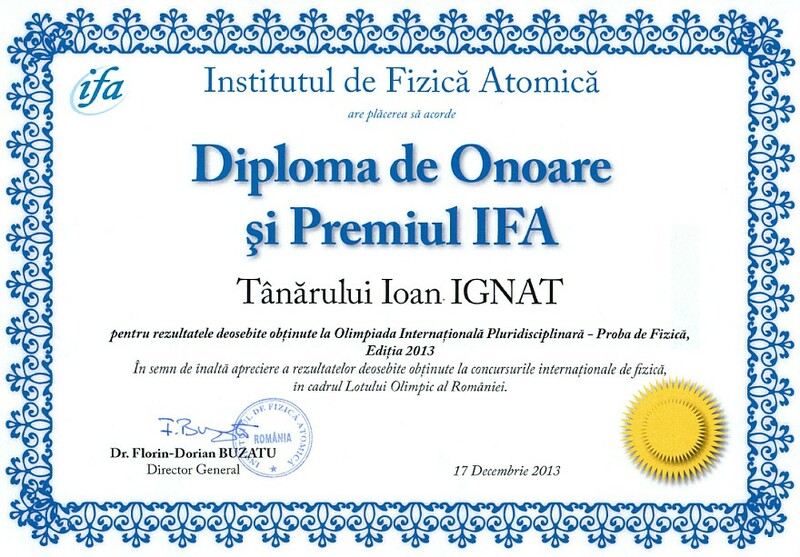 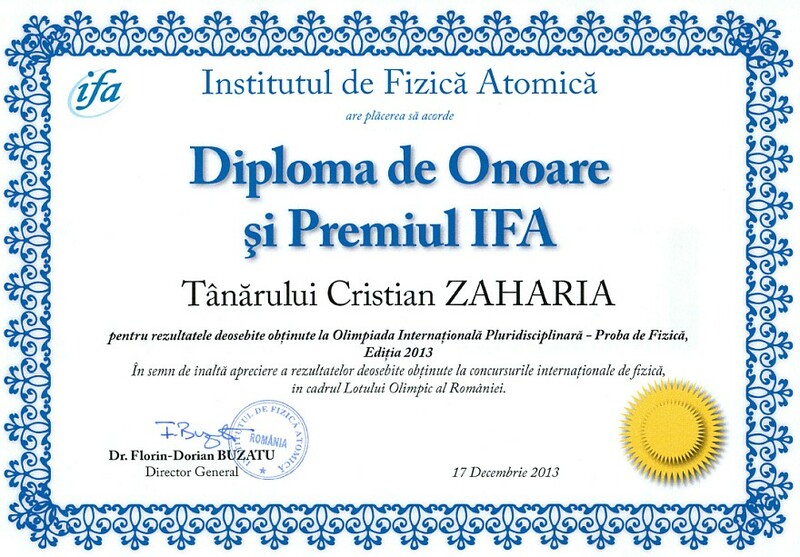 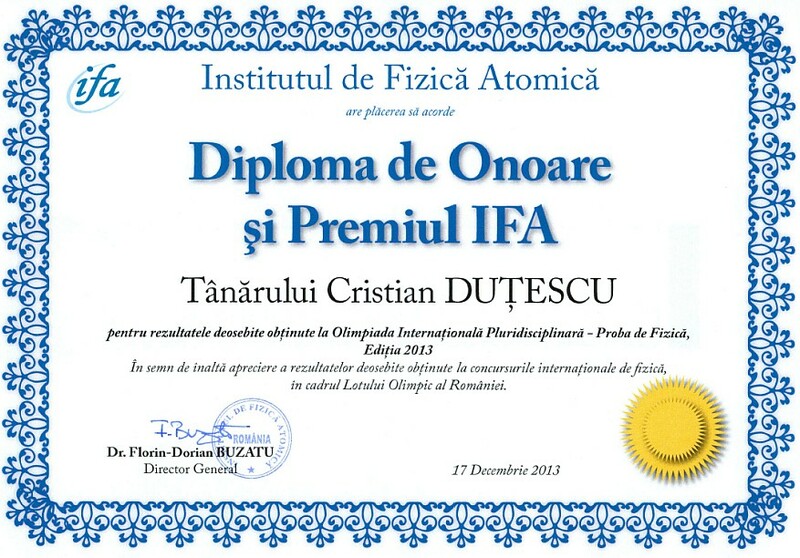 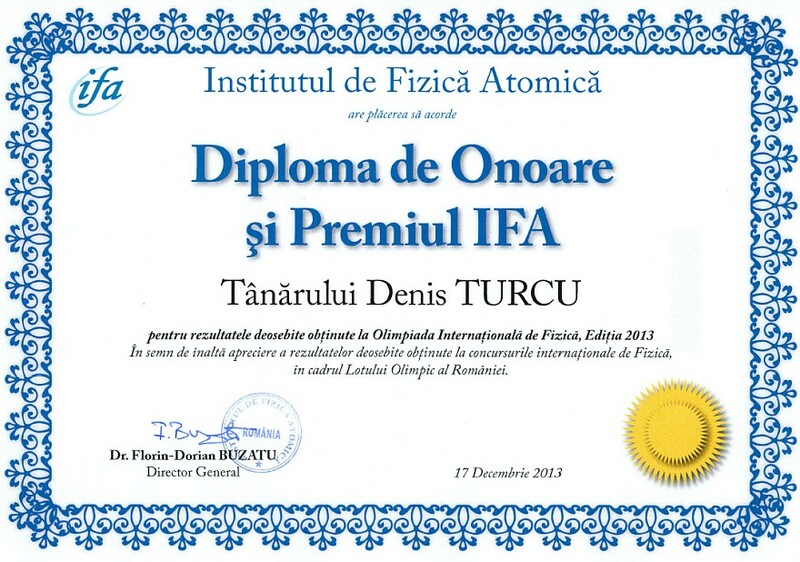 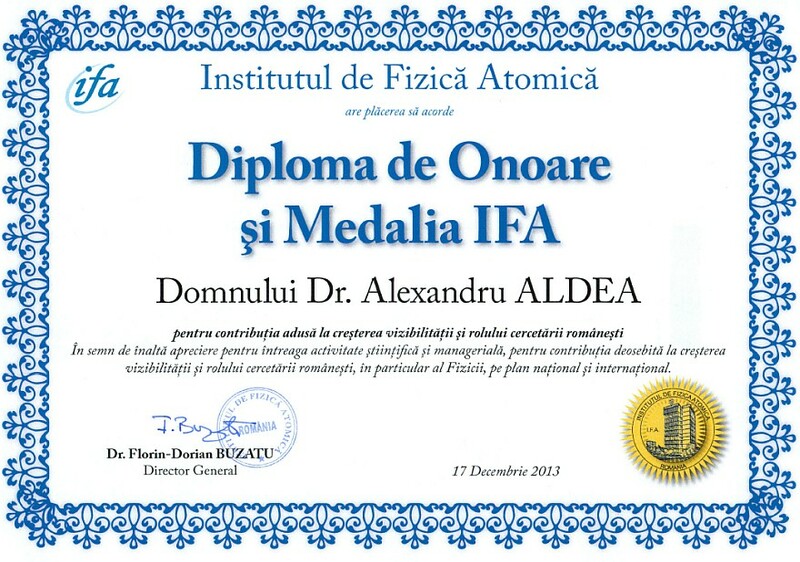 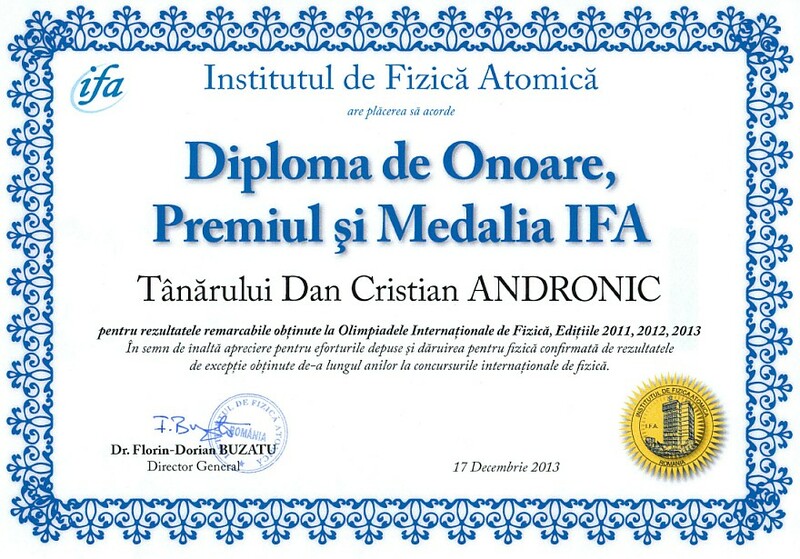 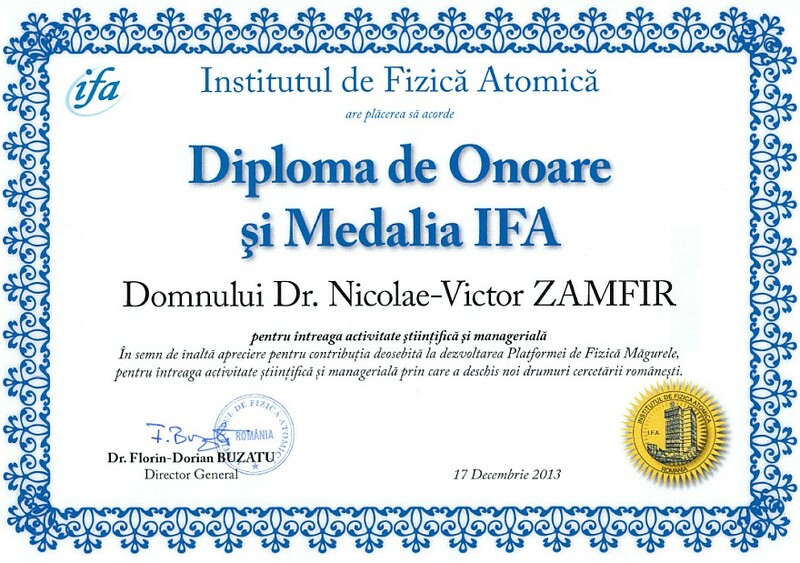 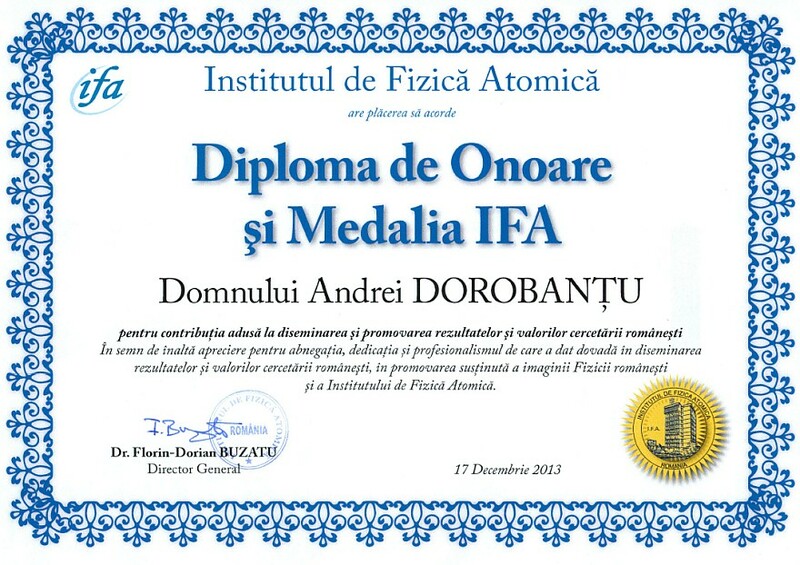 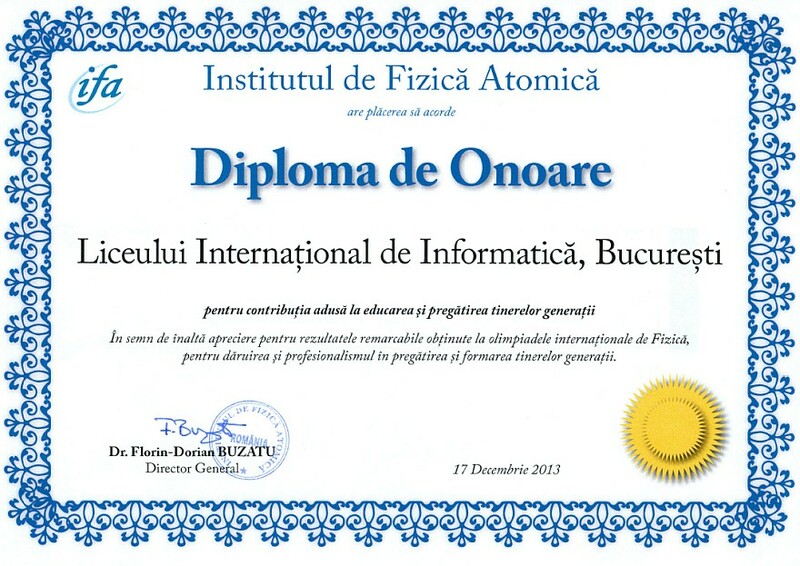 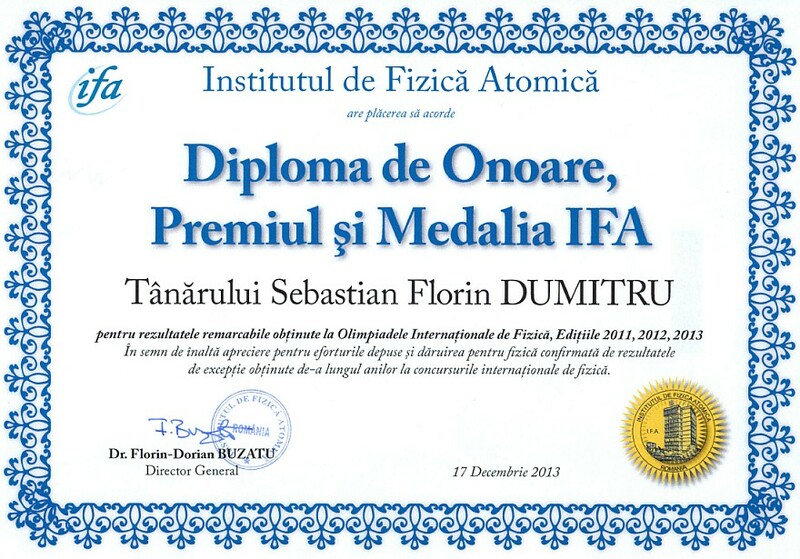 As a token of high appreciation of his dedication, commitment and professionalism in disseminating the results and values of Romanian research, in sustainedly promoting the image of both Romanian Physics and the Institute of Atomic Physics. 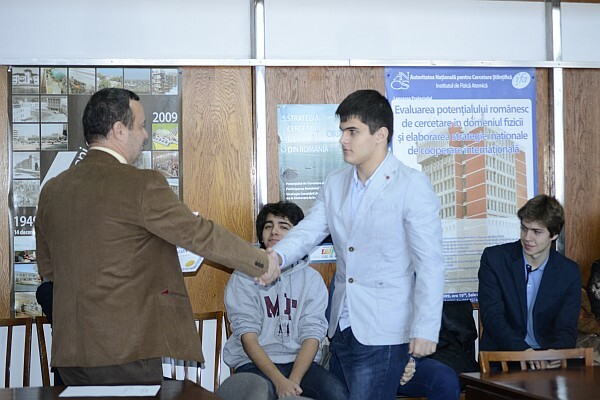 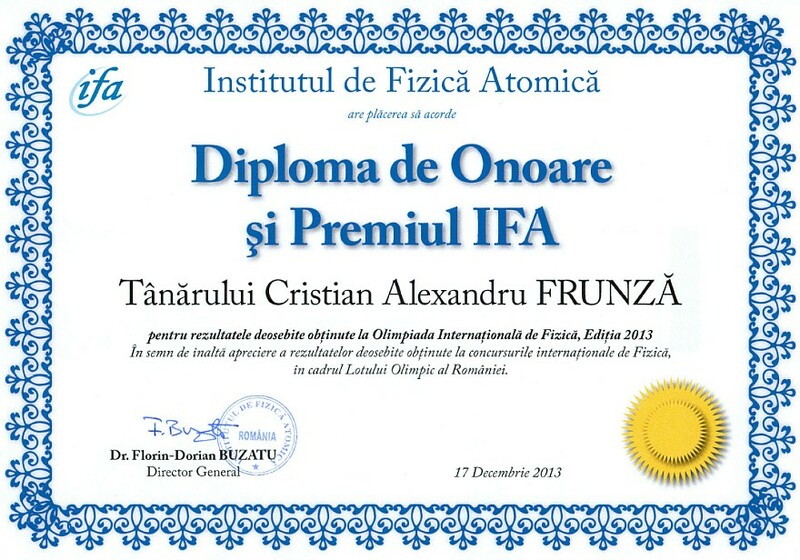 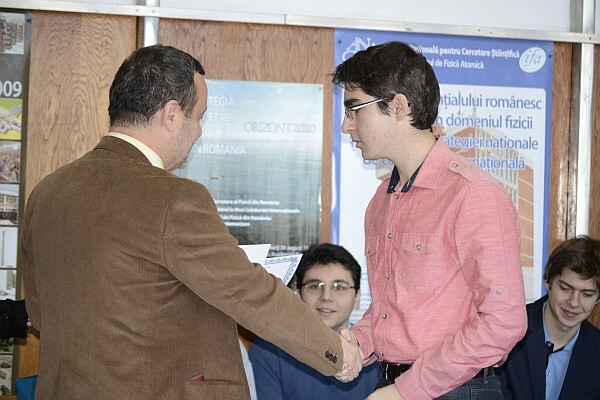 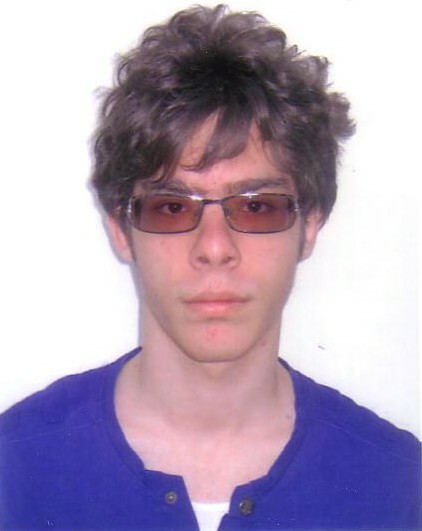 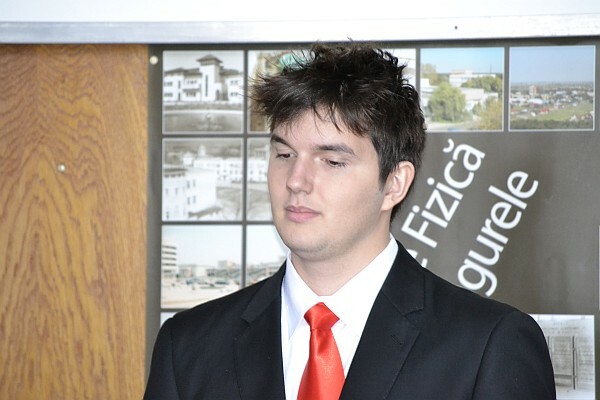 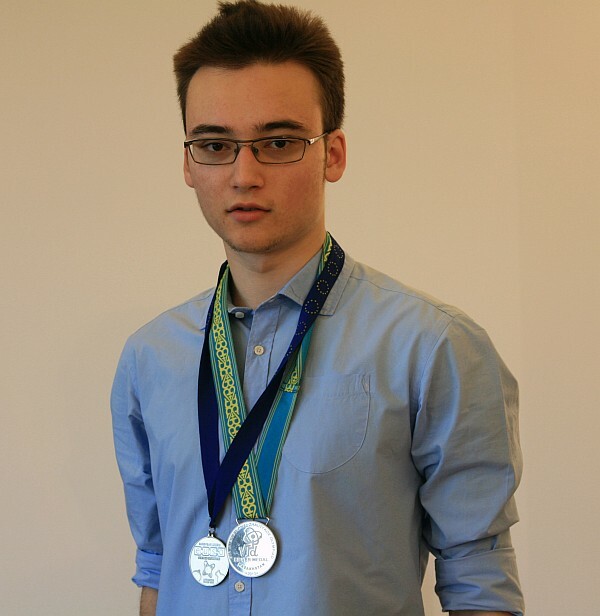 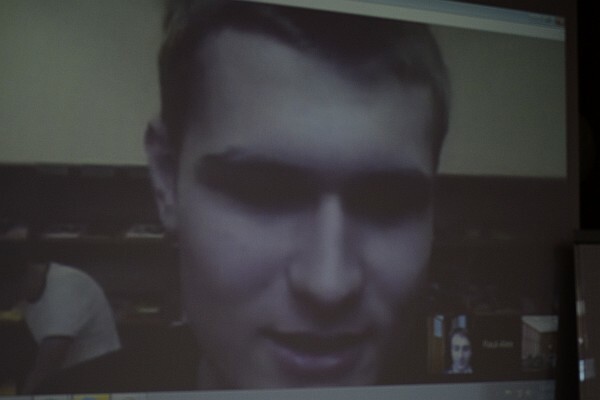 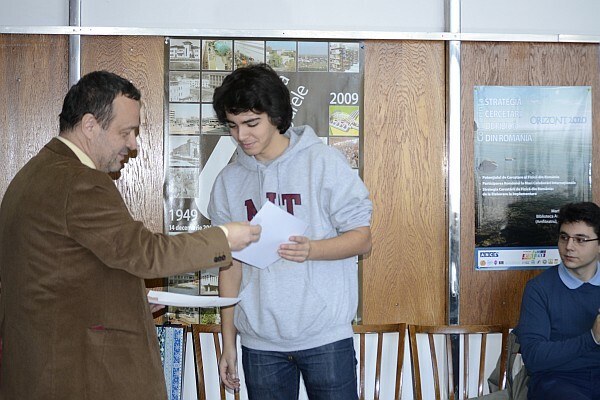 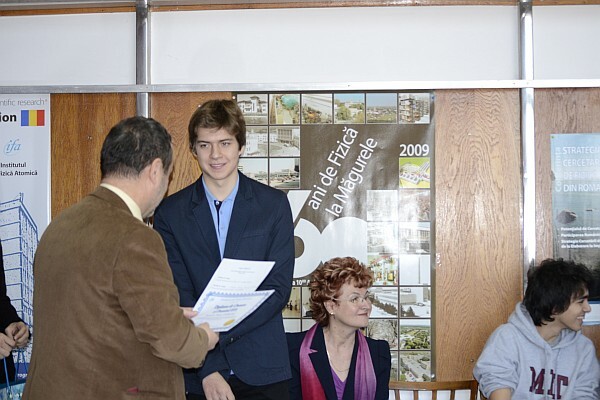 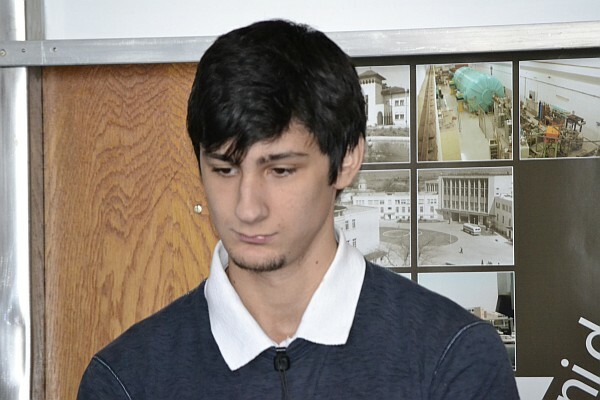 As a token of high appreciation of his outstanding results obtained at international physics competitions within the Romanian Olympic lot. 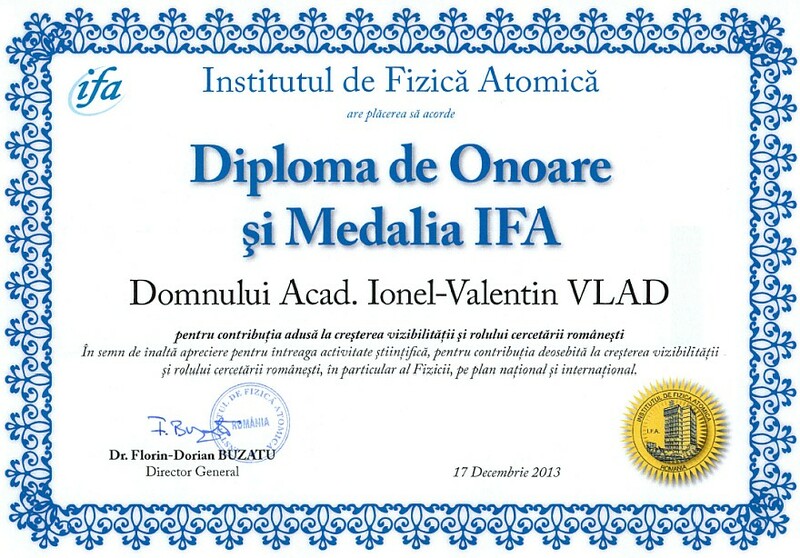 As a token of high appreciation of her outstanding results obtained at international physics competitions within the Romanian olympic lot. 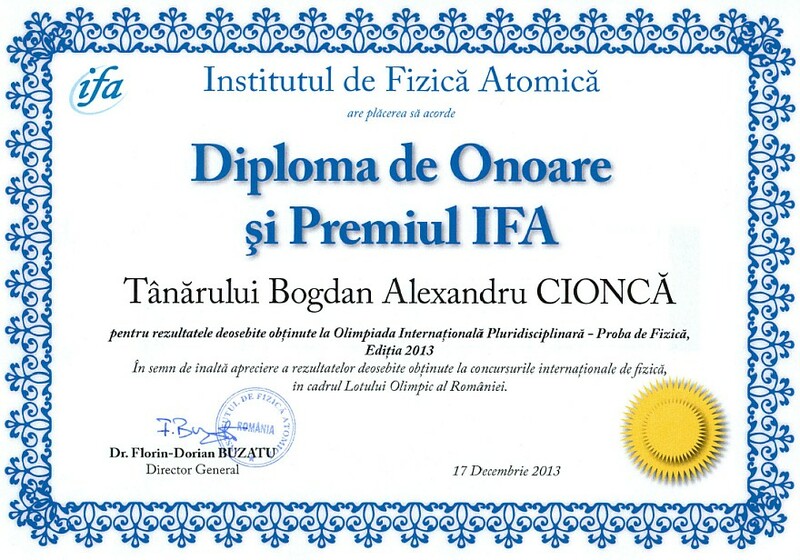 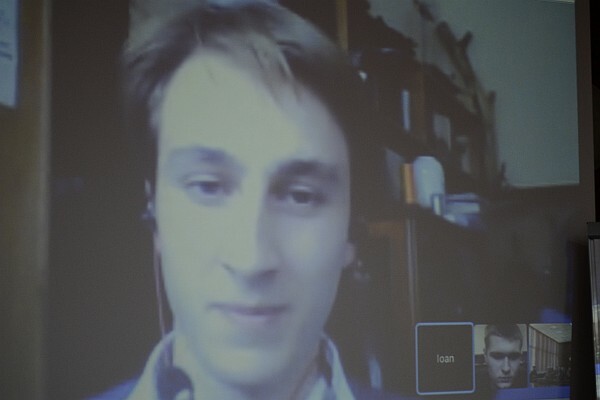 As a token of high appreciation of his efforts devoted to the science of physics and commitment to it, confirmed by the outstanding results obtained at international physics competitions over the years. 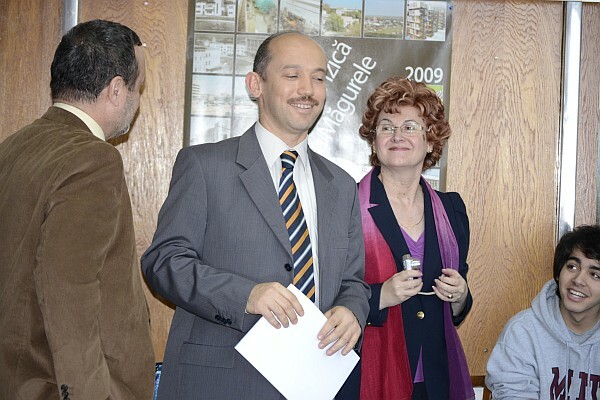 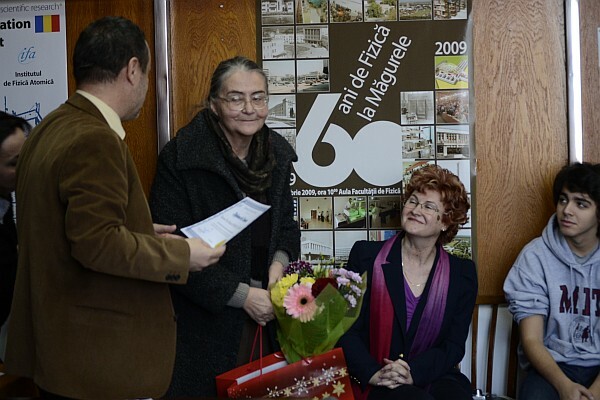 As a token of high appreciation of her long time career devoted to educating younger generations, of her dedication and professionalism invested while serving the Romanian School of Physics. 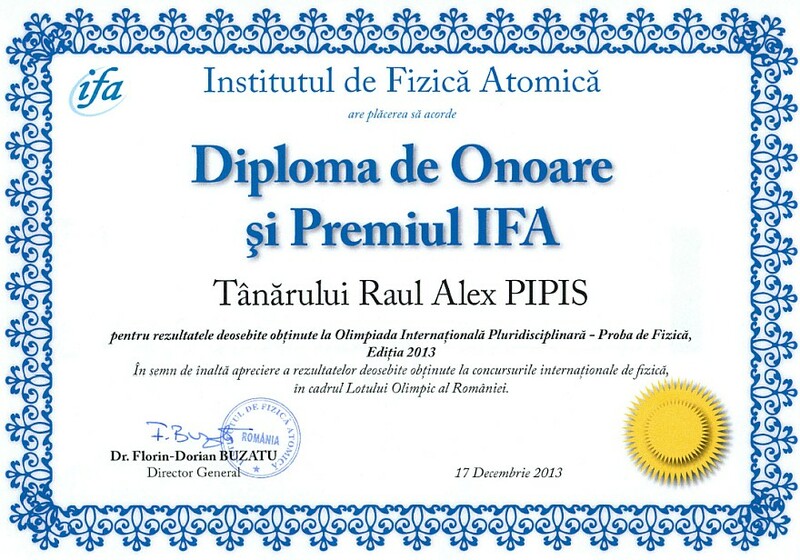 As a token of high appreciation of the outstanding results obtained at International Physics Olympiads, of the dedication and professionalism shown in forming and training young generations. 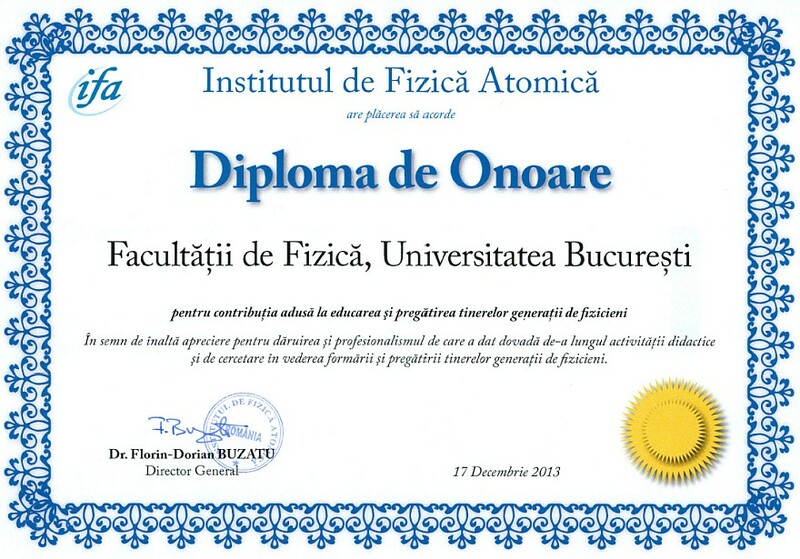 As a token of high appreciation of its dedication and professionalism throughout its entire teaching and research activity with a view to forming and training young generations of physicists.